Aeroflot Flight 593 crashed in, Kemerovo Oblast, Russia, killing 75. Aeroflot Flight 593 was a regular passenger flight from Sheremetyevo International Airport, Moscow, to Kai Tak Airport in Hong Kong. On 23 March 1994, the aircraft operating the route, an Airbus A310-304 flown by Aeroflot – Russian International Airlines, crashed into a mountain range in Kemerovo Oblast, Russia, killing all 63 passengers and 12 crew members on board. No evidence of a technical malfunction was found. Cockpit voice and flight data recorders revealed the presence of the relief pilot’s 12-year-old daughter and 16-year-old son on the flight deck. While seated at the controls, the pilot’s son had unknowingly disengaged the A310’s autopilot control of the aircraft’s ailerons. The autopilot then disengaged completely causing the aircraft to roll into a steep bank and a near-vertical dive. Despite managing to level the aircraft, the first officer over-corrected when pulling up, causing the plane to stall and enter into a corkscrew dive; the pilots managed to level the aircraft off once more, but by then the plane had lost too much altitude to recover and crashed into the Kuznetsk Alatau mountain range. The aircraft involved in the accident was a leased Airbus A310-304, registration F-OGQS, serial number 596, that was delivered new to Aeroflot on 11 December 1992. Powered with two General Electric CF6-80C2A2 engines, the airframe had its maiden flight as F-WWCS on 11 September 1991, and was one of five operating for Russian Airlines, an autonomous division of Aeroflot – Russian International Airlines that was set up for serving routes to the Russian Far East and Southeast Asia. On average, the crew of three operating the aircraft had logged 900 hours on the type. The captain of Flight 593 was Andrey Viktorovich Danilov, 40, who was hired by Aeroflot in November 1992. He had accrued over 9,675 hours of flight time, including 950 hours in the A310, of which 895 hours were as captain. The first officer was Igor Vasilyevich Piskaryov, 33, hired by Aeroflot in October 1993, who had 5,885 hours of flight time, including 440 hours in the A310. The relief pilot was Yaroslav Vladimirovich Kudrinsky, 39, who was hired by Aeroflot in November 1992; he had over 8,940 flying hours, including 907 hours in the A310. Kudrinsky also had experience in the Yakovlev Yak-40, Antonov An-12, and Ilyushin Il-76. There were nine flight attendants on board the plane. On 23 March 1994, the jet aircraft was en route from Sheremetyevo International Airport in Moscow to Kai Tak Airport in Hong Kong with 75 occupants aboard, of whom 63 were passengers. Most of the passengers were businessmen from Hong Kong and Taiwan who were looking for economic opportunities in Russia. Relief pilot Kudrinsky was taking his two children on their first international flight, and they were brought to the cockpit while he was on duty. Five people were thus on the flight deck: Kudrinsky, co-pilot Piskaryov, Kudrinsky’s children Eldar and Yana, and another pilot, Vladimir Makarov, who was flying as a passenger. With the autopilot active, Kudrinsky, against regulations, let the children sit at the controls. First, his daughter Yana took the pilot’s left front seat. Kudrinsky adjusted the autopilot’s heading to give her the impression that she was turning the plane, though she actually had no control of the aircraft. Shortly thereafter, Kudrinsky’s son Eldar occupied the pilot’s seat. Unlike his sister, Eldar applied enough force to the control column to contradict the autopilot for 30 seconds. This caused the flight computer to switch the plane’s ailerons to manual control while maintaining control over the other flight systems. A silent indicator light came on to alert the pilots to this partial disengagement. The pilots, who had previously flown Russian-designed planes which had audible warning signals, apparently failed to notice it. Eldar was the first to notice a problem, when he observed that the plane was banking right. Shortly after, the flight path indicator changed to show the new flight path of the aircraft as it turned. Since the turn was continuous, the resulting predicted flight path drawn on screen was a 180-degree turn. This indication is similar to those shown when in a holding pattern, where a 180-degree turn is required to remain in a stable position. This confused the pilots for nine seconds, during which time the plane banked past a 45-degree angle to almost 90 degrees, steeper than the design allowed. The A310 cannot turn this steeply while maintaining height, and the plane started to lose altitude quickly. The increased g-forces on the pilots and crew made it extremely difficult for them to regain control. The autopilot, which no longer controlled the ailerons, used its other controls in order to compensate, pitching the nose up and increasing thrust; as a result the plane began to stall; the autopilot, unable to cope, disengaged completely. A second, larger indicator light came on to alert the pilots of the complete disengagement, and this time they did notice it. At the same time, the autopilot’s display screen went blank. To recover from the stall, an automatic system lowered the nose and put the plane into a nosedive. The reduced g-forces enabled Kudrinsky to re-take his seat. Piskaryov then managed to pull out of the dive, but over-corrected, putting the plane in an almost vertical ascent, again stalling the plane, which fell out of the sky into a corkscrew dive. Although Kudrinsky and Piskaryov regained control and leveled out the wings, they did not know how far they had descended during the crisis and their altitude by then was too low to recover. The plane crashed at high vertical speed, estimated at 70 m/s. All 75 occupants died from impact. The aircraft crashed with its landing gear up, and all passengers had been prepared for an emergency, as they were strapped into their seats. No distress calls were made prior to the crash. Despite the struggles of both pilots to save the aircraft, it was later concluded that if they had just let go of the control column, the autopilot would have automatically taken action to prevent stalling, thus avoiding the accident. The wreckage was located on a remote hillside in the Kuznetsk Alatau mountain chain, approximately 20 kilometres east of Mezhdurechensk, Kemerovo Oblast, Russia; the flight data recorders were found on the second day of searching. Families of western victims placed flowers on the crash site, while families of Chinese victims scattered pieces of paper with messages written on them around the crash site. The airline originally denied that the children were in the cockpit, but accepted the fact when the Moscow-based magazine Obozrevatel published the transcript on the week of Wednesday, 28 September 1994. The Associated Press said that, according to the transcript, “the Russian crew almost succeeded in saving the plane”. The New York Times said that “A transcript of the tape printed in the magazine Obozrevatel shows that the Russian crew nearly managed to save the Airbus plane and the 75 people on board, but that it was hampered by the presence of children and its unfamiliarity with the foreign-made plane.” The New York Times also stated that an analysis by an aviation expert published in Rossiiskiye Vesti supported that analysis. The Reichstag passes the Enabling Act of 1933. This makes Adolf Hitler the dictator of Germany. Hitler had been appointed Chancellor on January 30th 1933. However, he had no intention of acting within a participatory democracy. His plans included the abolition of other political parties with all political powers placed into his hands. Hitler was helped in this by the Reichstag Fire. This put the government building out of use and for the German Parliament to function it needed a suitable building to replace it. The Kroll Opera House was used. It was a convenient choice. It was small enough to make any SA presence look very menacing if Reichstag members were not going to vote accordingly. However, Hitler could not be sure that the bill would be passed. The March 5th 1933 election had clearly shown that the Nazis were not as popular as Hitler would have wished. They only gained a majority of Deputy seats with the help of the German National Peoples Party. The Communists were no longer an issue as their leaders had been arrested and the party banned after it was blamed for the Reichstag fire. Hitler hoped that the other nationalists would be persuaded to vote for the act. It was the Centre Party that concerned him the most as he felt that those who did not want to vote for the act would rally around the Centre Party. Therefore he made a deal with the party – he would protect all of the rights that Catholics had in Germany as well as foster better relations with the Vatican. It was good enough for the Centre’s party leader, Ludwig Kaas, who advocated that the party support the bill. The only party that did not support the bill was the Social Democrats. They planned to sabotage the proceedings. German constitutional law stated that any change to the constitution had to have a vote at which 66% of the Reichstag Deputies had to be present. Of these the vote needed to be 66% or over – not the usual bare majority. The Social Democrats knew that if they boycotted the vote, there would not be the required 66% of Reichstag Deputies at the vote – therefore any result would be deemed unconstitutional. The Nazis got around this with ease. The President of the Reichstag was Hermann Goering. He introduced a new procedure that made irrelevant the proposed move of the Social Democrats. Goering’s new procedure was to deem present any Reichstag Deputy who was not at the session but who did not have a good reason not to be there. In fact, 26 Social Democrat Deputies were in hiding for their lives – but as they could not present to the Reichstag a good reason for not being there they were counted as present. The final vote for the Enabling Act was 444 for and 94 against. All the constitutional criteria for Deputies being present were there and the Enabling Act was signed into law. All those who voted against the act were Social Democrats – a brave thing to do when it is considered that the opera house was flooded with SA men who had a deserved reputation for being thugs. The party leader, Otto Wels, openly spoke out against the bill and called on others not to vote for it. The Enabling Act allowed the Cabinet to introduce legislation without it first going through the Reichstag. Basically the Reichstag Deputies voted to allow themselves to be bypassed. Any legislation passed by the Cabinet did not need presidential approval either. The act had a lifespan of four years before it had to be renewed via the Reichstag – something that happened on two separate occasions with an even more Nazified Reichstag and with what was effectively open voting. Just how significant was the Enabling Act? Shortly after the bill became law,Joseph Goebbels wrote that Hitler now had full power to push Germany forward. He made no mention of the Cabinet. In fact, there was no Cabinet input in the sense that a modern Cabinet would expect to function. For example, Hitler had given the Centre Party his full guarantee that their power would be protected if they supported the Enabling Act. On July 14th1933, all political parties other than the Nazi Party were banned on the orders of Hitler. It was generally thought that it took just 24 hours to put into legislation something that Hitler had ordered. The Enabling Act also protected the position of President. Such was Hitler’s power that when Hindenburg died in August 1934, he simply merged the positions of Chancellor and President and created the position of F?hrer even though interfering with the position of the President was not allowed even by the terms of the Enabling Act. The ship John Wickliffe arrives at Port Chalmers in Dunedin, New Zealand carrying the first Scottish settlers. In the UK, The Football League, the world’s oldest Association Football league, meets for the first time. The Tr?n Dynasty of Vietnam is thrown out after one hundred and seventy-five years of rule. The Battle of Nasiriyah takes place during the invasion of Iraq. The British runner and Olympic god medalist, Mo Farah, is born. 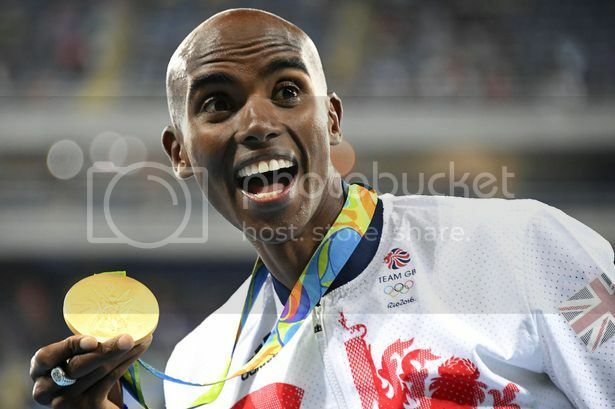 Mo Farah, his full name is Mohamed Farah (born March 23, 1983, Mogadishu, Somalia), Somalian-born British distance runner who won gold in both the 5,000-metre and 10,000-metre races at the 2012 London Olympics and at the 2016 Rio de Janeiro Olympics. Farah finished ninth in his first English schools cross-country championships in 1996, but the next year he won the race, taking the first of five school titles. He was supported in his early career by a number of major figures, including women’s marathoner Paula Radcliffe, who paid for his driving lessons, and philanthropist Sir Eddie Kulukundis, who covered the legal fees for his naturalization as a British citizen. Farah began training under coach Alan Storey in 2001 and won the European junior 5,000-metre title that year. After training in Kenya and Ethiopia beginning in 2008, Farah won European titles in 2010 at 5,000 metres and 10,000 metres. Farah continued his hot streak at the 2013 world championships, where he won gold medals in the 5,000-metre and 10,000-metre races. The following year he won both of his signature events at the European championships, and he did the same at the 2015 world championships. At the 2016 Rio de Janeiro Olympic Games, he once more captured golds in the 5,000-metre and 10,000-metre events, becoming the second man to win those races in two consecutive Olympics.